On Sunday 11 March, the Social and Labour Standards in the Textile and Garment Sector in Asia (SLSG) project of GIZ, together with the Worker’s Information Center, held a reception at the META House Cambodian-German Cultural Association to celebrate the opening of the photo exhibition “Life through our eyes – by Cambodian garment workers”. 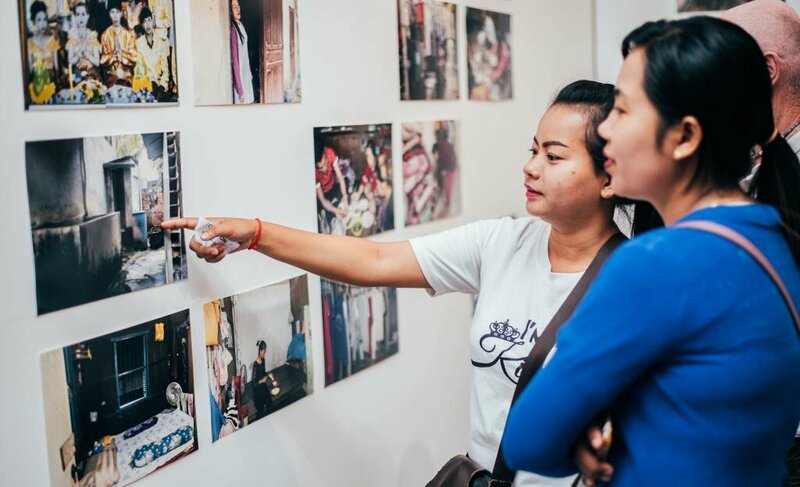 The exhibition is the result of a Participatory Photography Project, in which ten women working in the garment industry in Cambodia were shown by acclaimed photographer Andrea Diefenbach, how they can use photography as a tool for communication and advocacy. 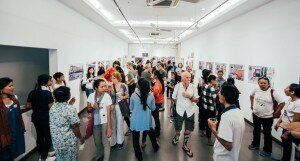 Marc Beckmann of GIZ, Programme Coordinator of SLSG, welcomed the more than 100 guests who attended the opening event. 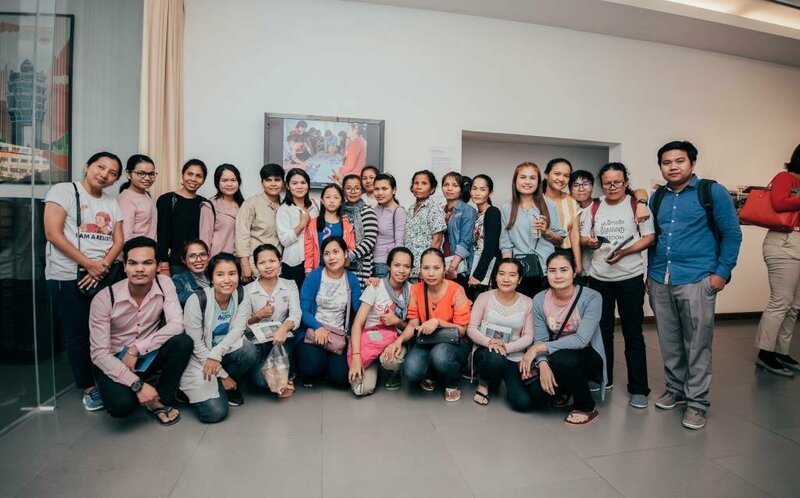 Introducing the role and mission of SLSG in Cambodia, Marc Beckmann outlined how SLSG works with brands, factories and the Ministry of Labour and Vocational Training in Cambodia to promote social and labour standards in the textile industry. 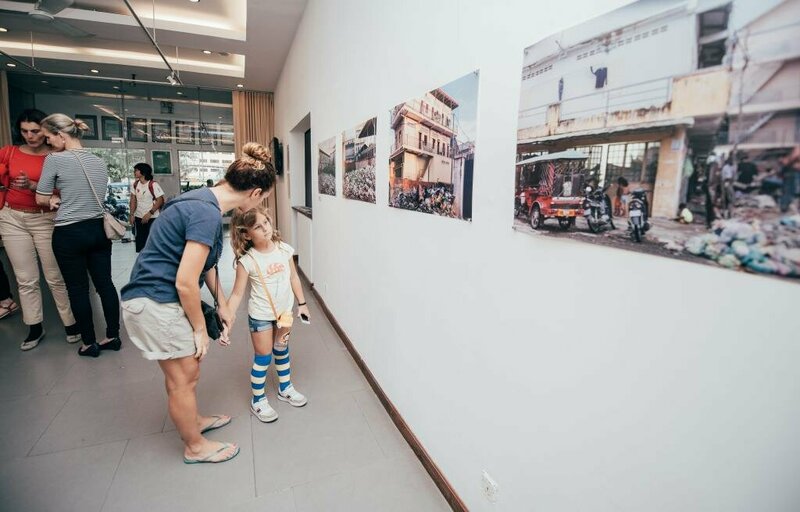 Irene Genzmer of GIZ, Head of Regional Cooperation of SLSG, who initiated the Participatory Photo Workshop, thanked in particular the workers who took part in the workshop and now share their view of life through the exhibition. Channsitha Mark, who currently serves as the Coordinator for the Worker Information Center (WIC), took the opportunity to introduce the work of the WIC and to call for action on continuous support for the rights of workers in the garment industry. Finally, the female garment workers took the stage to present the stories behind the photographs and to advocate for their recognition in society. 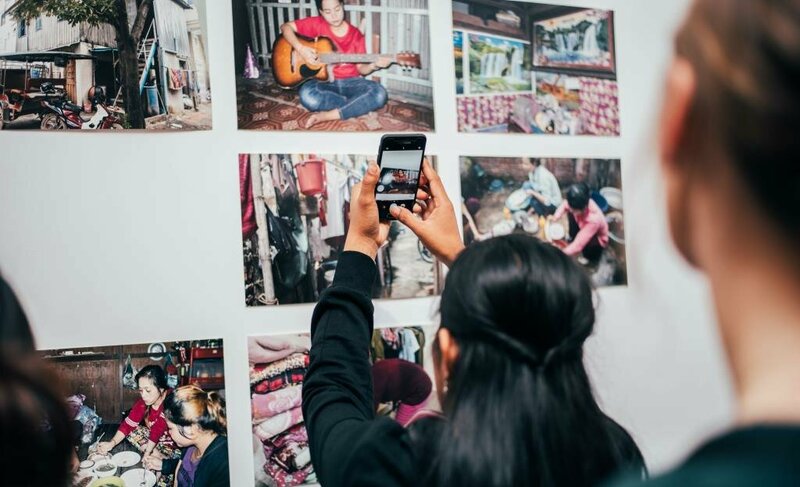 Besides the families and friends of the garment workers, representatives from brands, unions and NGOs as well as other members of the SLSG project from Myanmar, Bangladesh and China participated in the lively opening event. 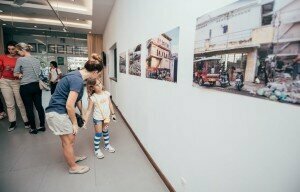 The photo exhibition will run until 31 March 2018 at META House, admission is free. The project Social and Labour Standards in the Textile and Garment Sector in Asia (SLSG), is implemented by the Deutsche Gesellschaft für Internationale Zusammenarbeit (GIZ) GmbH, and works on behalf of the German Federal Ministry for Economic Cooperation and Development (BMZ).